The San Diego Lapidary Society was founded by the late Robert V. Clapp. He was a member of the Los Angeles Lapidary Society before moving to San Diego. The first meeting, with 35 persons in attendance, was held in the State Building in Balboa Park on August 12, 1947. On April 2, 1948 the Society was organized with 70 charter members and was incorporated as a nonprofit organization. 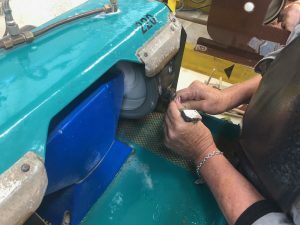 In November of that year members donated lapidary equipment to Horse Mann Junior High School and evening classes in lapidary work began. 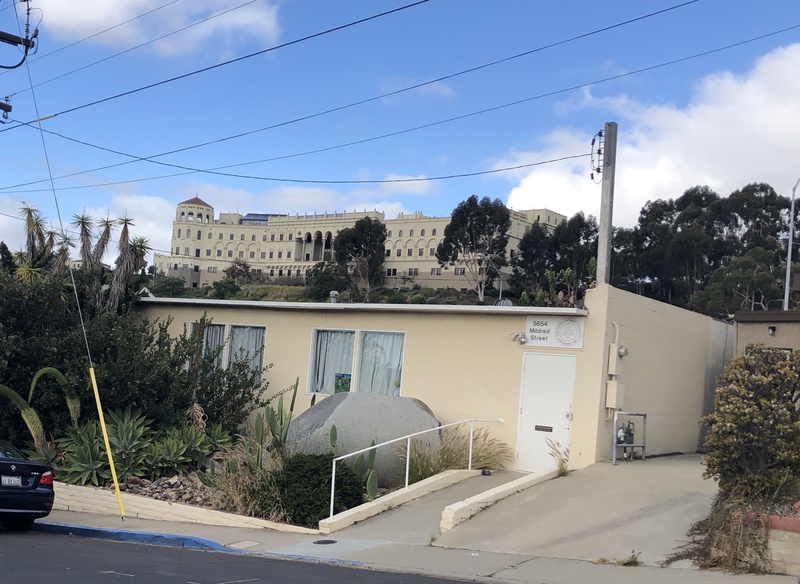 Fund raising for property and a clubhouse resulted in the purchase of a lot on August 24, 1955 and on July 24, 1958 an old school building was bought and moved onto the lot at 5654 Mildred Street, across from USD. The building was remodeled and in December of 1958, members enjoyed their first Christmas party in the new clubhouse. It was dedicated in April, 1959. In May, 1963 work commenced on an addition to serve as a shop area. The shop addition was completed 1 year later. Our latest renovation in the early 1990’s made an incredible difference, converting the former school building into a fully functional facility. 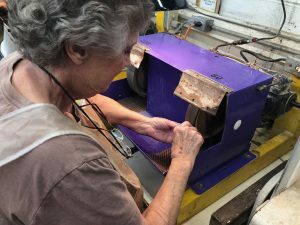 The San Diego Lapidary Society is a community of artists sharing ideas, techniques and creativity.